How is this a fundraiser? Many people believe that the fairgrounds are owned by Atlantic County Government, but in fact the Atlantic County 4-H Fairgrounds Association owns the building and grounds. This non-profit volunteer group raises money to help cover costs of maintenance, utilities & insurance so our clubs and community has a place to meet. 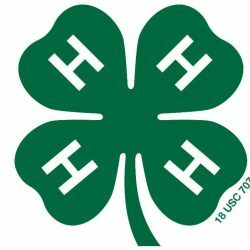 Our largest fundraiser is the annual 4-H Fair, which is hosted the second weekend of August. The fair also serves as a celebration of 4-Her accomplishments because they can display their products or demonstrate the new skills they have learned through the year to the public, but the event does not cover all of the expenses. The Electronic Recycling Fundraiser was created to give the community a place to drop off their unwanted electronics (broken or working) in a responsible way. The products that we receive are either re-purposed for 4-H or recycled by a certified electronic recycling company which in return makes a donation back to Atlantic County 4-H. Thanks for helping Atlantic County 4-H & our environment!